When Boston-area landscape and tree company Hartney Greymont lost its scheduling manager, who took 25-plus years of routing knowledge with him, the company’s staff was thrown for a loop. Determined to find a solution for the company, which is a division of the Davey Tree Expert Co., Office Team Lead Jennifer Rose came across RouteSavvy—an online route planner for small to midsize fleets. The $10-million company began using RouteSavvy in November 2016 to direct up to 18 crews to approximately 7,500 clients. The system cost $300 for four user-based licenses, with no monthly fees. 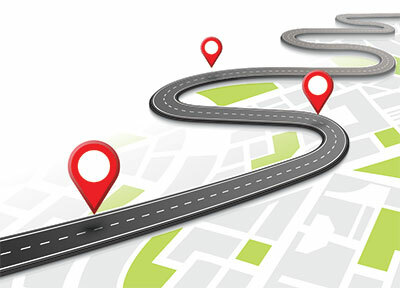 Now, instead of relying on one employee to manually generate routes, Rose inputs the information into a CSV file in Excel, uploads the file to RouteSavvy and connects the dots to create optimized routes. She can print out the routes or disseminate them to drivers’ mobile devices. The system also gives Rose a way to manage other data, such as call-ahead preferences or the revenue per route. However, it does not yet account for truck routes or construction. Since incorporating the system, Hartney Greymont has boosted its gross profit, saved on drive time and increased productivity, Rose says. She adds that the system also improves customer service because the user can track service problems immediately. “What you’re doing is giving your crew the opportunity to get more work done in the same amount of time,” Rose says.